Townsend is a great place for junior tennis players to develop their tennis skills and enjoy junior club events, both social and competitive. The wide ranging junior tennis coaching programme run by our friendly club coaching team and supported by our junior tennis leaders , provide a comprehensive and structured series of group coaching and training sessions for junior players. Older junior players are also encouraged to come to the junior club nights that are organised throughout the year. We enter teams in the Hertfordshire mini and junior club competitions in all age groups. These teams are captained either by parent volunteers or a coach and provide a great opportunity for our young players to enjoy team tennis from a young age. During the year, Sarah See the Junior Tennis Rep organises social events for the junior section including and a Film Night, a Junior Club BBQ and a Christmas Party. These events are always well attended and allow all our players and their parents to get together and enjoy being part of the club. There is an annual mini and junior club tournament which all of our young players are encouraged to enter. 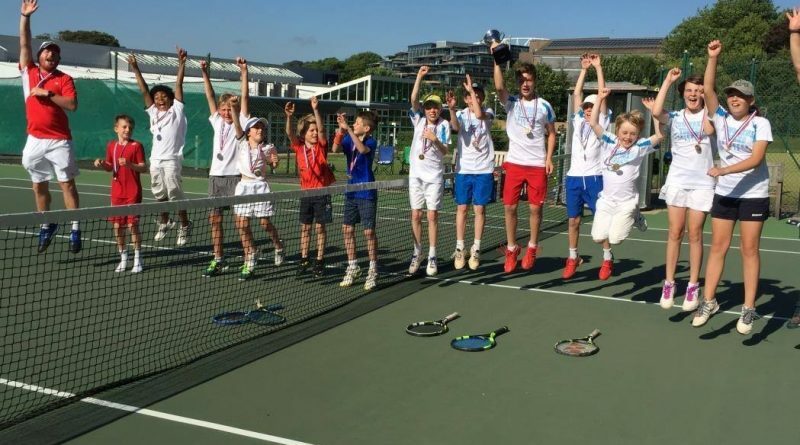 We also host a one day open junior doubles tournament in the summer and organise an annual 'Generation Game' Tournament in the autumn where junior players team up with a parent to play a round robin event for the coverted ‘Dancing Tennis Ball Trophy’. In recent seasons some the more competitive junior players and their parents have organised tennis tours to Brighton, Abergavenny and Wincanton. These tours have run over a weekend in the summer holidays and have provided an opportunity for matches against other clubs and to play an open tournament.